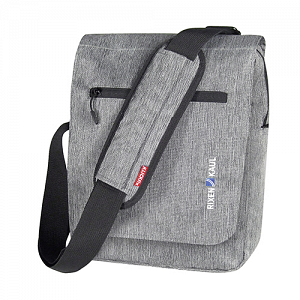 This handsome handlebar mounted bag with tablet compartment is made of robust materials and offers plenty of space by virtue of its extra flat adapter plate. The padded tablet compartment protects electronic companions up to to 16x20cm. Also features a shoulder strap and integrated rain cover. With extra flat KLICKfix Adapter plate at the backside.